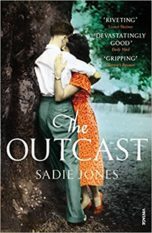 Sadie Jones’s stunning debut novel The Outcast has sold over 500,000 copies in the UK. 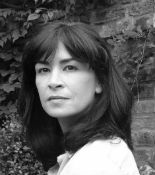 Published by Chatto and Windus, The Outcast was short-listed for the Orange Prize for Fiction 2008, and won the Costa First Novel Award in 2009. Rights have sold in 23 foreign territories. The Outcast was adapted for the screen by Sadie in 2014, produced by the BBC, starring George McKay, and directed by Iain Softley. 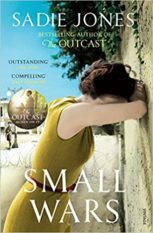 Her critically acclaimed second novel, Small Wars, about a British Army officer in the Cyprus emergency of the 1950s, was long-listed for the Orange Prize 2010. 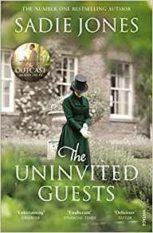 Sadie’s third novel The Uninvited Guests was published in spring 2012 to glittering reviews, and became a New York Times Bestseller. 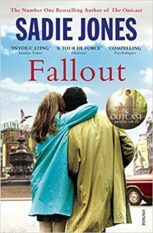 Similarly well-received on its publication in My 2014 was her fourth novel, Fallout, a story of obsessive love and adultery set in the London theatre world of the 1970s. 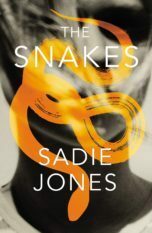 Sadie Jones lives in London with her husband, the architect Tim Boyd.